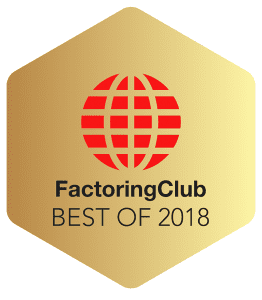 We are very excited to announce that SouthStar Capital has been awarded the ‘Best Factoring Company of 2018’ by the FactoringClub! This award was based on SouthStar’s terms and features, customer service, location, and overall excellence. Whether you are an established business or just getting started, insufficient cash flow can cripple your operations and growth capabilities. Traditional institutions often do not view your company’s Accounts Receivable (invoices) for what they are, an asset! SouthStar Capital does not see through the eyes of traditional lending institutions and can turn your invoices into working capital. This takes away the concern of making payroll, paying vendors/suppliers, and securing growth capital, so you can focus on what’s important, growing your business. As client of SouthStar’s Invoice Factoring solution, you will be assigned a personal account manager who will handle collections, payment processing, and customer credit approvals, allowing you to focus on your business. With factoring, we look at the credit history of your customer, not your company or personal credit history. Years in business does not influence our decision to finance, making factoring great for start-ups. Once established with SouthStar, you will receive same-day funding on submitted invoices. This gives you access to unlimited working capital, right when you need it. Factoring also allows you to extend longer payment terms to clients and grow your business. See what our clients have said about SouthStar’s Invoice Factoring solution.